It was clean and very well held, the owner was very nice and responsive. The apartment it self is new, and has all you need for your staying. It is situated in the centre of San Lorenzo where u have a lot of bars & restaurants (bit noisy but ok). My parents and sister stayed there and had no complaints. Would definitely recommend this place to all Rome vistors. Great location. Very clean and we enjoyed our stay there very much. 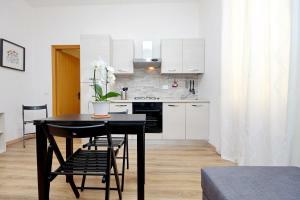 Nice apartment, clean and quiet, supermarket or restaurants in neiberhood. I really liked the place. We got a nice host who contacted us beforehand witch made it so much easier for us. Owner super informative and easy to contact. Location great. Near tram and bus. Was allowed to leave luggage after check out. Off the beaten track, this is a good location with trams for Colosseum and St. Pietro at a 5min walk. Groceries, markets, cafés, bars and restaurants all around. Some minds might feel unconfortable in the streets (kinda dirty...) or find the neighbourwood somehow unpleasant. However, we took evening walks with the kids, slept very well (quiet) and found everyone nice and polite! Location is great and check in / check out process is simple. 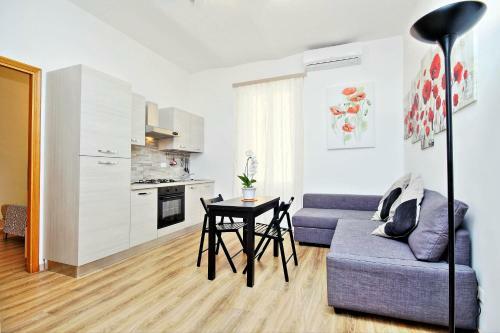 Apartment is modern and very clean. 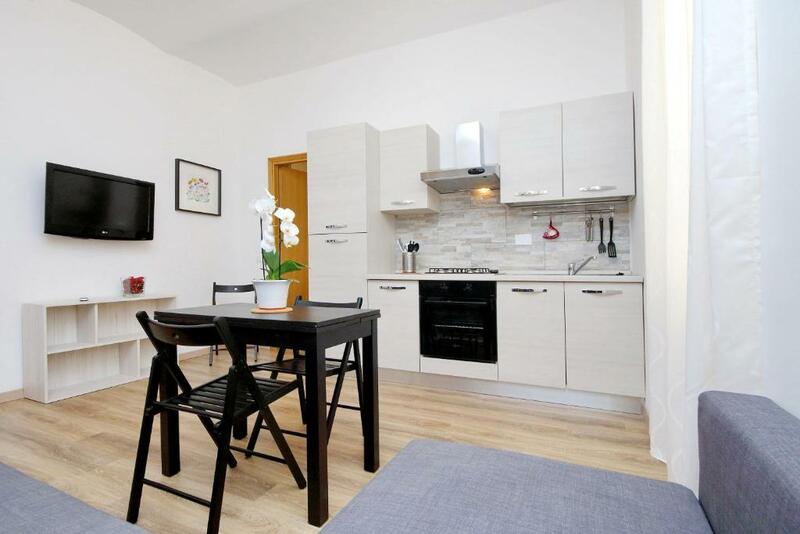 Lock in a great price for Holiday rental San Lorenzo district – rated 8.5 by recent guests! 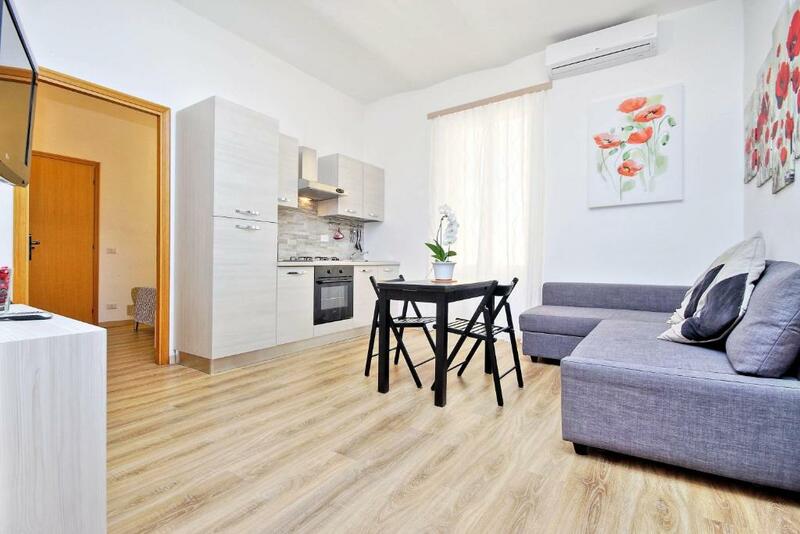 Located in Rome, Holiday rental San Lorenzo district provides accommodations with free WiFi, seating area and flat-screen TV. Each unit comes with a microwave, toaster, a coffee machine, as well as a fridge and electric tea pot. There's also a kitchenette in some of the units equipped with an oven. Università La Sapienza is a 9-minute walk from the apartment. The nearest airport is Ciampino Airport, 9 miles from the property. San Lorenzo is a great choice for travelers interested in monuments, old-town exploration and ancient landmarks. When would you like to stay at Holiday rental San Lorenzo district? 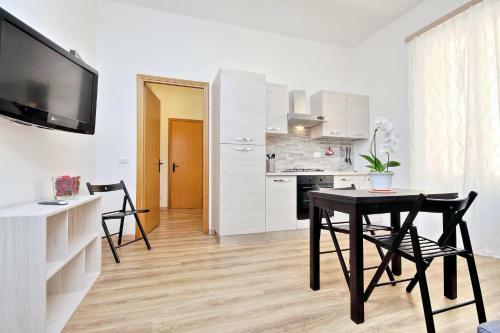 This apartment features a oven, stovetop and private entrance. 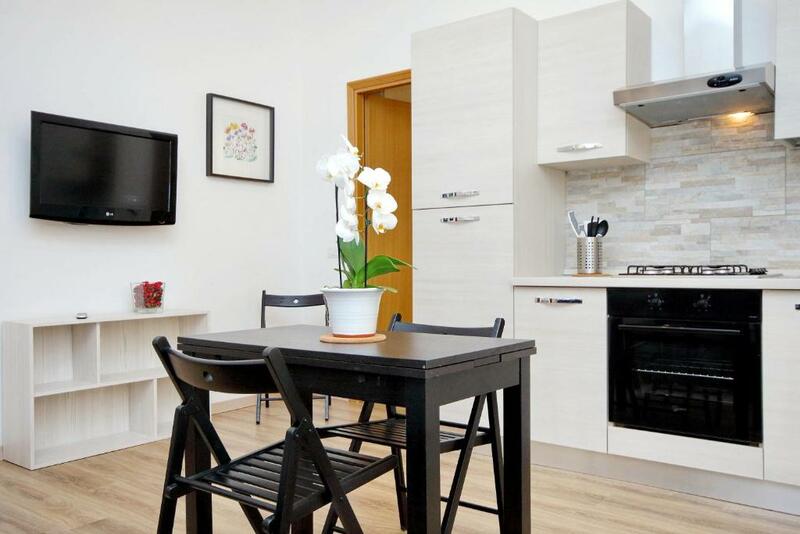 The studio features everything you need to prepare breakfast or a light meal, including a kettle, toaster, coffee machine, microwave and fridge. 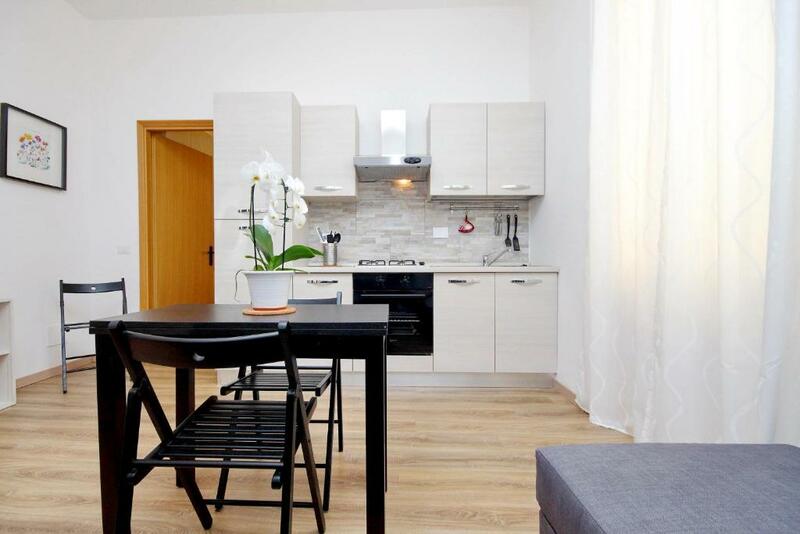 In the heart of the characteristic San Lorenzo district, lovely Studio apartment on the second floor of a building of the early '900 without lift. Very quiet, facing inwards. 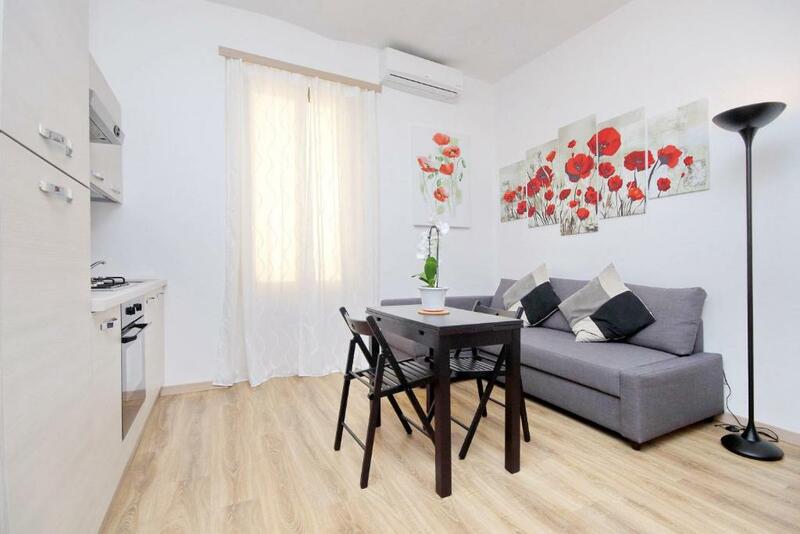 Well connected by bus and metro, it is very close to Termini station and is just a few steps from the Basilica San Giovanni and the Colosseum. Excellent solution for a cheap and quality stay. The apartment is a 15-minute walk from Termini station and from the metro A and B. The bus stop 71 connects with the historic center of the city. Air-conditioning, Free wifi available. 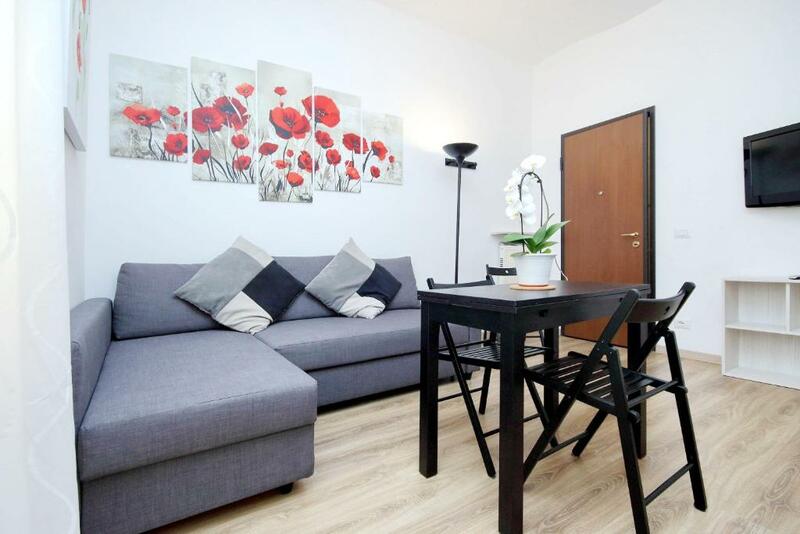 The apartment is for exclusive use and is fully equipped. It has all the amenities for a comfortable stay. Holiday rental for tourist use. San Lorenzo is a very lively district, near the university, popular with young people, a place of Roman nightlife. In the streets around the apartment you will find a market and a lot of pizzerias, restaurants, bars and pubs. Area Info – This neighborhood is a great choice for travelers interested in monuments, old-town exploration and ancient landmarks – Check location Good location – show map Guests loved walking around the neighborhood! House Rules Holiday rental San Lorenzo district takes special requests – add in the next step! Please inform Holiday rental San Lorenzo district of your expected arrival time in advance. You can use the Special Requests box when booking, or contact the property directly using the contact details in your confirmation. The only problem its that the kitchen don't have a sink, so you will have to clean the dishes in the bathroom. Very nice and beautiful home. Beds a bit soft. Stairs may be a challenge for heavy suitcases. I know it is not an hotel, but 2 rolls of toilet paper for 4 people for a week is not enough. The owner wants the garbage to be distributed by order wich is importan, but you need to give it to those who stay there - this is my opinion. We had problem with AC not working properly and they gave us portable AC which was noisy, and we had troubles with sleeping. Weather was very hot so it could not cool down the room... our host Michaela was very kind and apologized, gave us some refund and AC was fixed two days before departure. There was nothing we didn't like about the apartment. The apartment was really nice and very clean. Everything was how we expected it, just like the pictures. When we arrived at the station, it was a 15 minute walk to the apartment, which was easy to find. The neighbourhood is relaxed, with a lot of restaurants nearby. It's a 30 minute walk to the Colosseum, which sounds far, but the walk is so beautiful, you almost forget the time. We really enjoyed our time staying in this apartment. For our stay (5 nights), we were glad we booked this apartment. We pay extra money for cleaning - done just once, before we arrive.